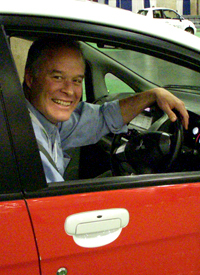 Green Car Institute was founded in 1999 by Ron Cogan, editor and publisher of the Green Car Journal. Ever since the publication began reporting on this field in 1992, it was evident that efforts to create more advanced and environmentally compatible transportation would be successful only if consumers understood the benefits of these fuels and technologies. Simply, people need to be comfortable with the concept of advanced technology vehicles before they’re willing to buy them. Ron Cogan, president of Green Car Institute, has been involved in the auto industry for 35 years. His extensive knowledge of this industry and understanding of environmental issues has been of value to the Green Car mission for more nearly two decades. That mission includes educating consumers, the media, and the industry on the benefits of environmentally conscious vehicles and technologies. Cogan is additionally editor and publisher of the award-winning Green Car Journal, an award-winning publication that specializes in the interaction of automobiles and the environment. In the 1990s he served on the staff of Motor Trend as feature editor and was the magazine’s specialist on advanced technology and alternative fuel vehicles. Recognized as the leading authority in the dynamic ‘green car’ field, Cogan is often sought out for his views on green car issues and to lend his analysis of breaking news in this field. He is regarded as an expert source by international publications, wire services, radio, and television, and has appeared in such noted media outlets as the Wall Street Journal, Los Angeles Times, and San Francisco Chronicle, as well as appearances on CBS, NBC, and Good Morning America. 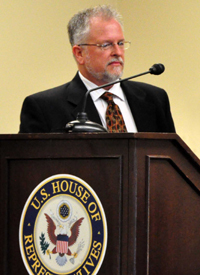 Cogan has been instrumental in producing the Green Car Summit on Capitol Hill, the Green Car Pavilion with the Washington Auto Show, Automobiles and the Environment conferences at the Los Angeles Auto Show, and Environmental Technology Expositions at the Society of Environmental Journalists national conventions. He oversees the highly-regarded Green Car of the Year award program with input from the nation’s major environmental organizations. A proponent of alternative energy and low emission technologies, Cogan focuses his automotive work on programs that promote energy efficiency and lessening the automobile’s impact on the environment. Todd Kaho’s diverse automotive background spans nearly 35 years. With experience as an automotive magazine owner, publisher, and editor, he provides an insider’s expertise in understanding industry and consumer trends. For years, Kaho has focused his attention on ‘green’ cars, advanced technology vehicles, forward-thinking concepts, and the future of sustainable mobility. He has been involved with many highly successful image vehicles and motorsports technology transfer programs, with considerable involvement in the automotive aftermarket. This background is invaluable to Green Car Institute as the advanced technologies that make race car engines more efficient and powerful are applied to creating more efficient engines in conventional cars. Kaho has an extensive background in road testing cars and light trucks. His behind-the-wheel experience and knowledge enables analyzing trends and new products with a clear, real-world understanding of what consumers need, expect, and desire. He is a recognized expert in the area of fuel economy and efficient driving techniques. Kaho’s outreach efforts have included many hours interacting with the public at major auto shows from coast-to-coast, explaining alternative fuel and advanced technology options, and overseeing electric car experiential programs that have seen more than 25,000 people experience electric car ride-alongs for the first time.